INFO: FAUCET HAS BEEN CLOSED, THANKS FOR YOUR SUPPORT, CLICK HERE TO CLAIM FROM OUR ROTATOR. We have decided to make the payment manually everyday after verifying them as some of users were caught making frauds with the payment system. You can request a withdraw after reaching the threshold. You should make a withdraw request before 5:30 p.m. as per GMT and 10:00 p.m. as per IST . Requests made before that time will be cleared the same day. If you have any issue you can use contact us tab to contact us., but kindly wait for at least 24 to 48 hours if withdraw is pending. Kindly don't try to cheat the systems, if you will be caught cheating or skipping captcha or shortner, your account will be suspended and no payments will be given. Potcoin faucets are a reward system, in the form of a website or app, that dispenses rewards in the form of a POT, which is a hundredth of a millionth POT, for visitors to claim in exchange for completing a captcha or task as described by the website. There are also faucets that dispense alternative cryptocurrencies. Rewards are dispensed at various predetermined intervals of time. Faucets usually give fractions of a Potcoin, but the amount will typically fluctuate according to the value of Potcoin. Faucets are a great way to help introduce new people to Potcoin, or to your favourite altcoin. 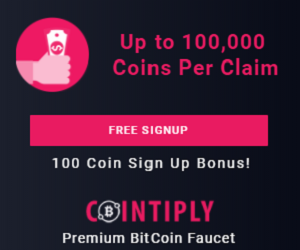 Many faucets provide information to newbies as well as offering them some free coins so that they can try before they buy, experimenting with a test transaction or two before putting real money on the line. Since this whole area is so new and a bit scary to some people, who perhaps don't quite trust it with their hard earned cash yet, this is a great way to promote digital currency and bring in new users.